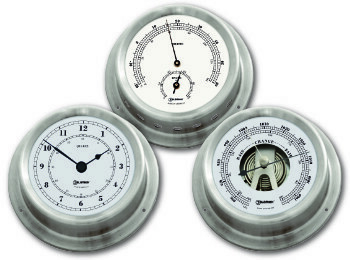 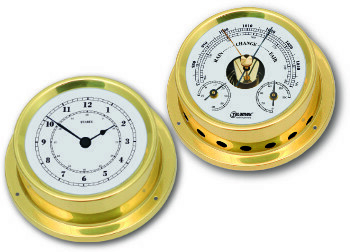 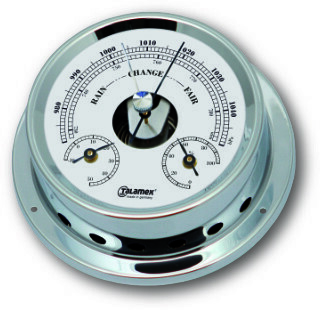 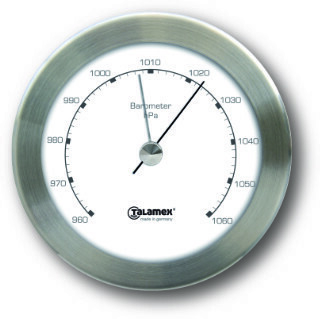 The straightforward dial format and robust quality of our barometers make for an extremely solid, reliable, and easy to use instrument. 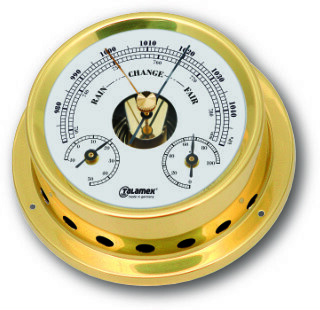 They come in a stainless steel, solid brass and chrome plated brass so you will always find the perfect match for your boat. 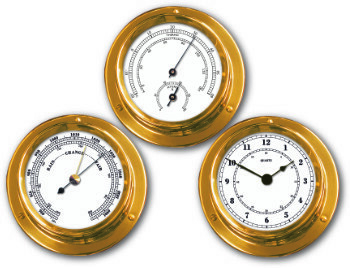 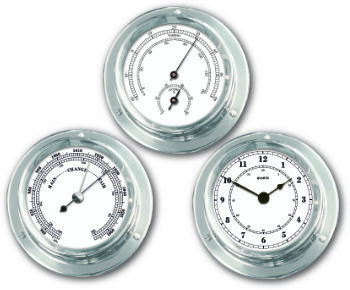 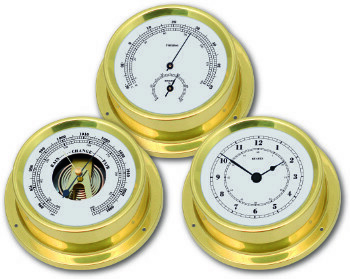 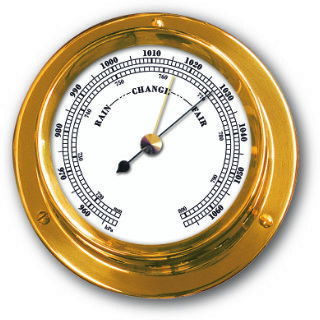 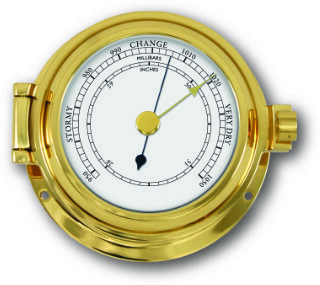 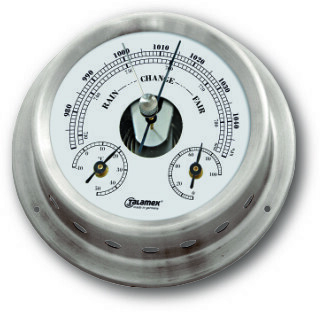 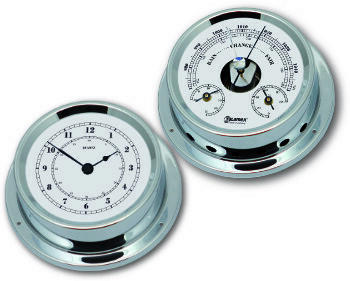 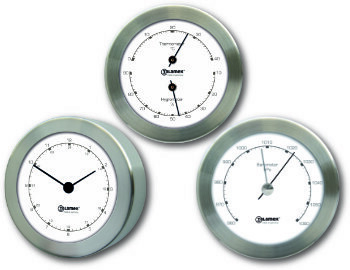 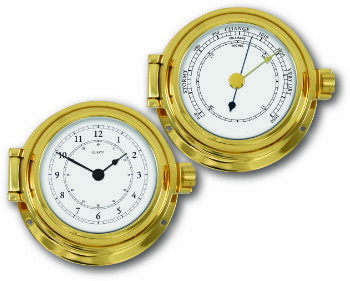 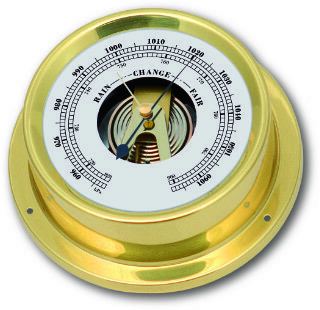 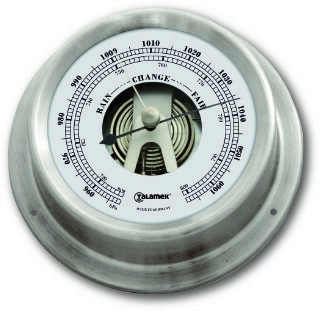 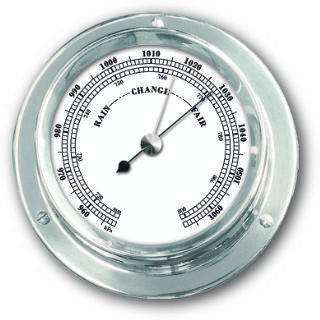 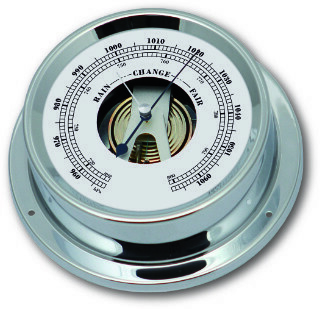 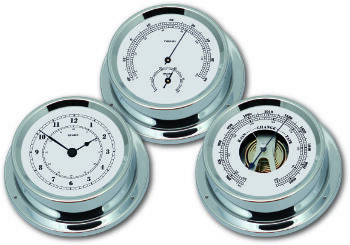 Ship’s Barometer with brushed stainless steel frame.